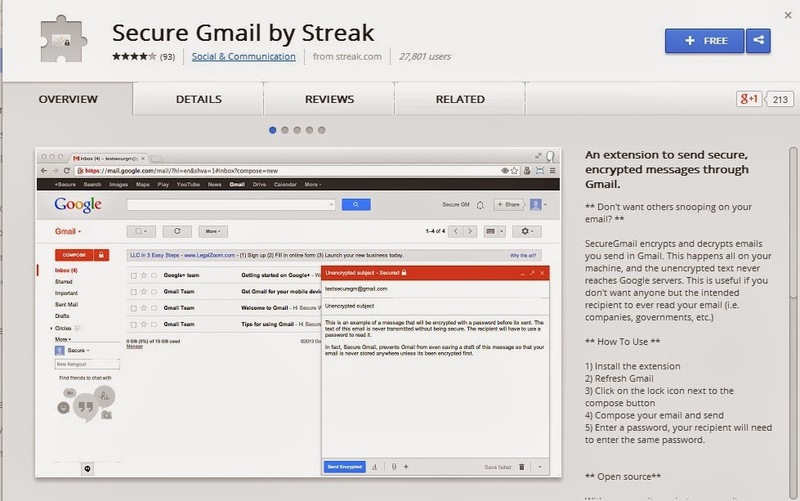 Now you’ll have to authorize the sheet to send your Gmail messages. 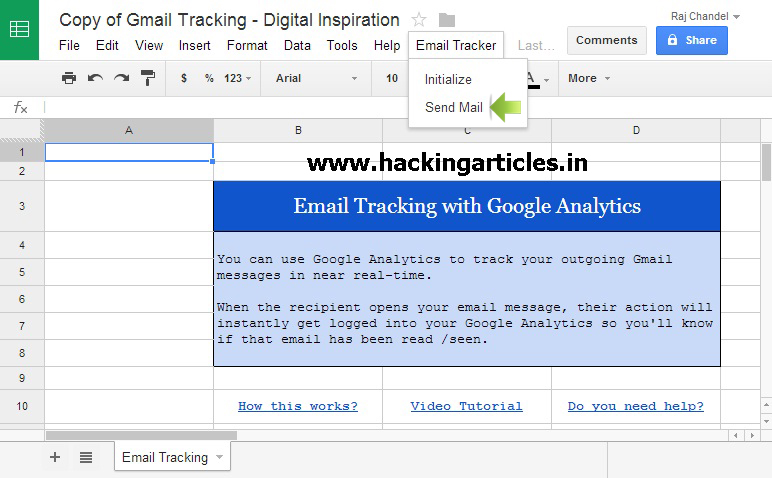 Once the script is authorized, choose Email Tracker -> Send Mail, select your Gmail draft from the drop-down, enter your Google Analytics Profile ID* and hit the Send button. Your mail will be delivered to the recipient. Back in old days when internet was not so common, we had to rely only on the postal/courier services. The only thing that bugs me about the traditional mail is their speed. This is when email comes. It offers numerous benefits, like its blazing fast, most of the time its free, you can attach from pictures to videos, from management point of view you don’t have to maintain a hard folder, last but not least its environment friendly. In short, email is one of the greatest inventions of all time. I’m not that old, but again back in those dial-up connection days, there was no such thing as Gmail, most of people either used Hotmail or Yahoo mail for the emails. The problem with these two email service providers is the spams. Spams are irrelevant emails coming to you, mostly used for marketing a product/service, but they are cases where spam emails have hacked a person through social engineering attack or session hijacking. 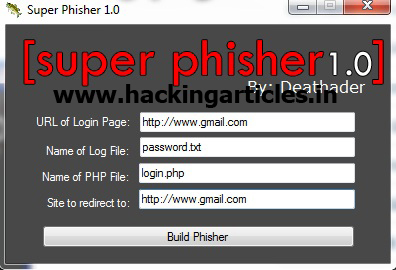 Phishing is also associated with spoofed emails, phishing is “the fraudulent practice of sending emails purporting to be from reputable companies in order to induce individuals to reveal personal information, such as passwords and credit card numbers“. If you only use Gmail, you are a lucky person, because Google has got some very intelligent and sophisticated spam filtering mechanism. And frankly speaking I don’t get spams at all in my Gmail, but in case of Ymail or Hotmail … let’s just not talk about it. In today’s article I will focus on Email spoofing. So, the first question you may ask is what is spoofing? Spoofing in simple terms is when Alice tries to be Bob. 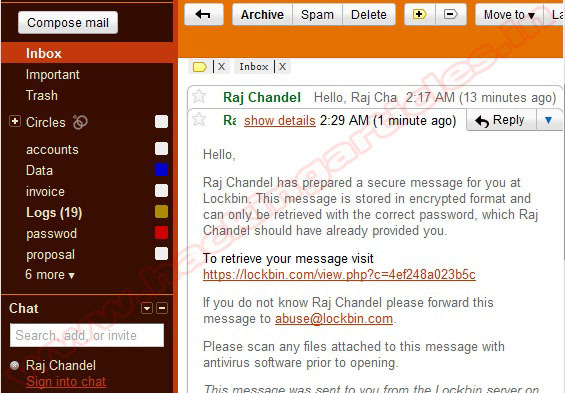 Email spoofing is when Alice sends an email to Eve but she keeps her identity to be Bob. When Eve receives an email she thinks that Bob has sent the email but it’s not. How to spoof an e-mail ? 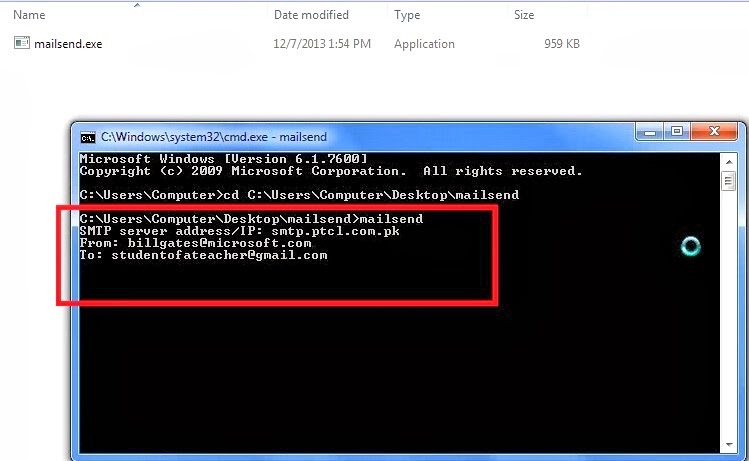 There can be different ways of spoofing an email, but I am going to use “sendmail” program for it. 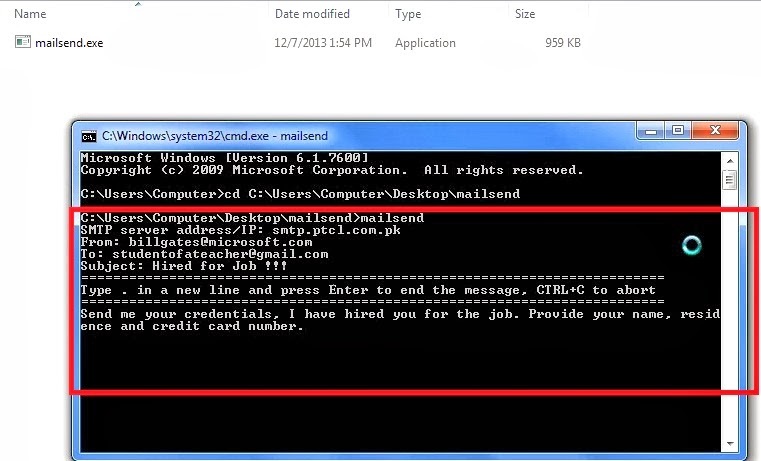 Sendmail is a simple command line program used to send emails via SMTP protocol. 1. Go to Google and type “sendmail google code”. Open the page highlighted below. 2. 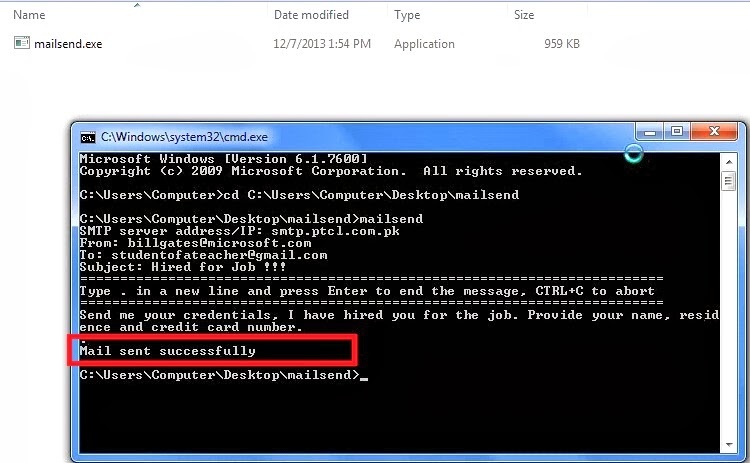 Go to the download section and download the appropriate file, as I m on windows so, I will be downloading the “.exe” file. Open the command line and call the program “mailsend”. 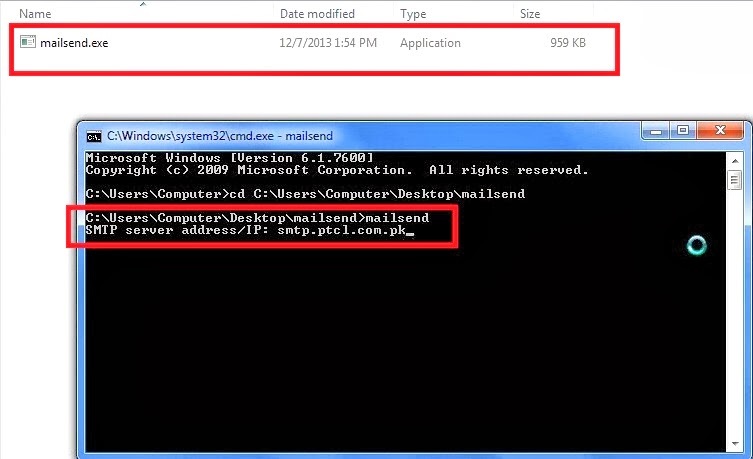 As soon as you type mailsend, the first thing it will ask for is SMTP server. 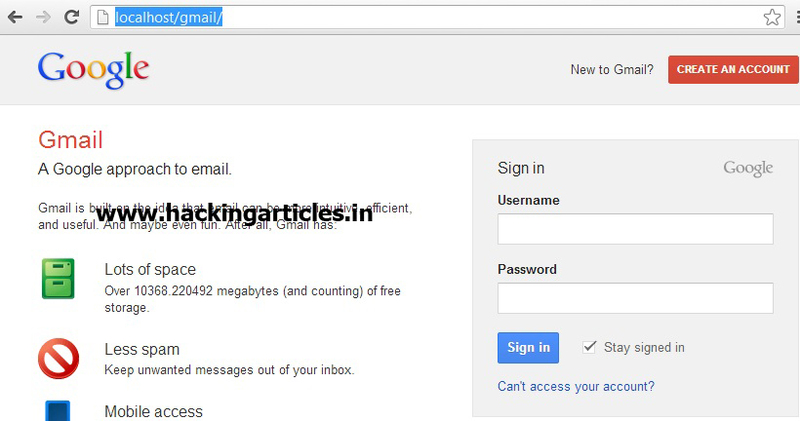 This is a very critical part, if you don’t provide the right SMTP server your email will not be sent. You have to chose a SMTP server that doesn’t require authentication. 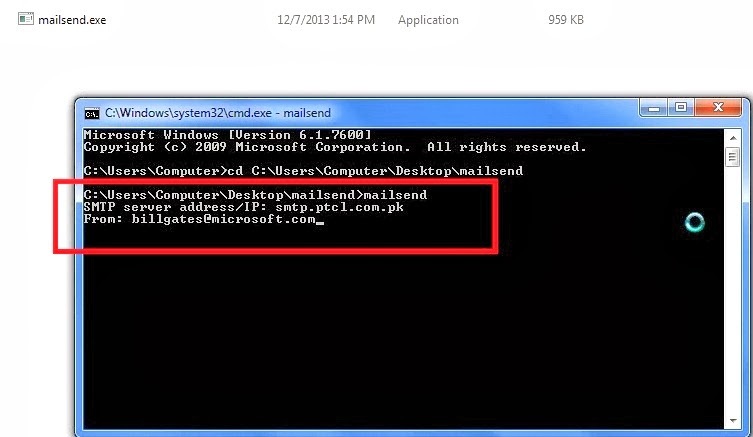 I will be using PTCL’s SMTP server i.e “smtp.ptcl.com.pk“, this server runs on port 25. 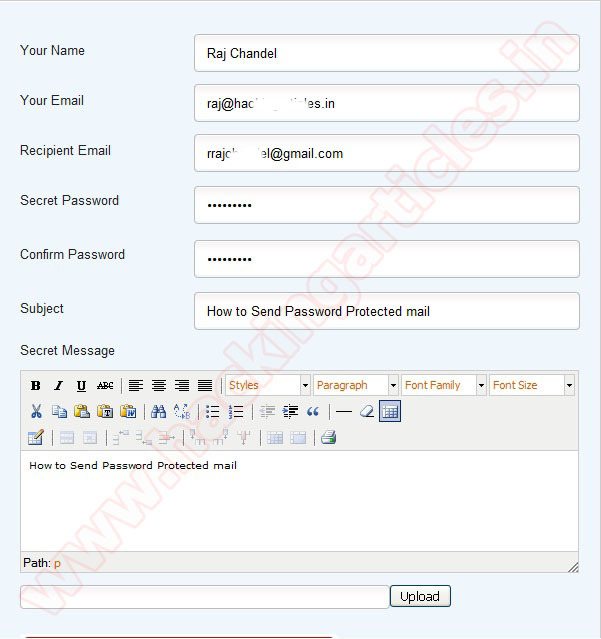 Provide the email id of receiver, I m giving my own email id. 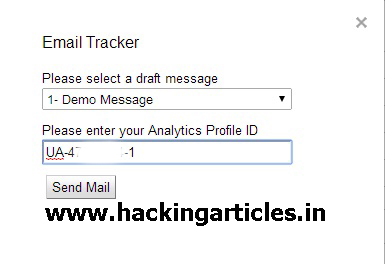 Enter subject and then write your message, after you have completed your message. Press enter, then press dot button and again press enter, a message will pop that your email has been sent. Here you can see my inbox has got that spoofed email. 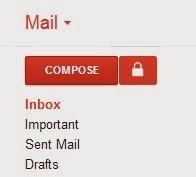 Now refresh your Gmail Click on the lock icon next to the compose button. 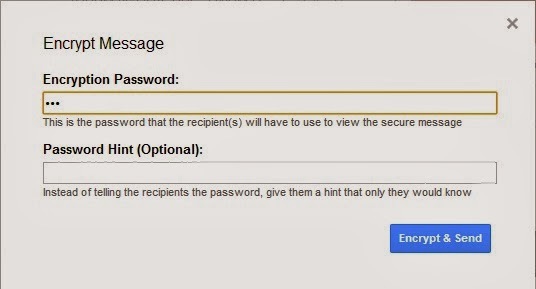 Enter a password; your recipient will need to enter the same password. To decrypt the email, your recipient will also need the Secure Gmail extension installed, as well as the password. Passwords file. Here I have used my custom password file. 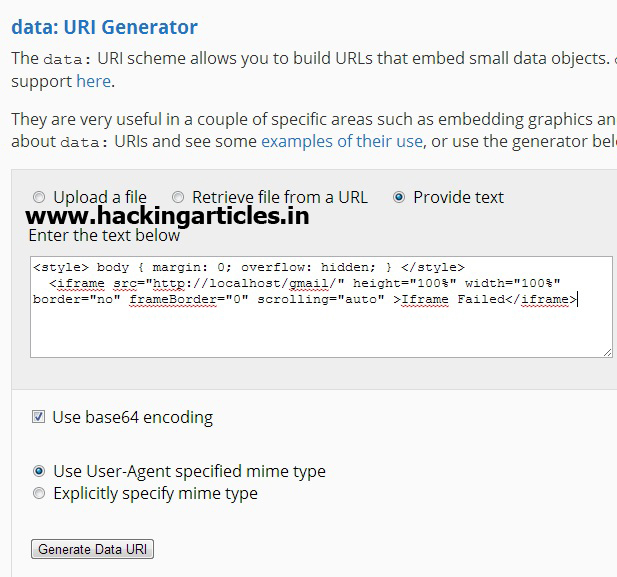 We will get the code as shown above after generating the URL. Then you will get the option of “Create” On the Top at the left corner. Then choose the option Spreadsheet on it. Now choose the option “Script Manger” in Tools Section. As shown below. 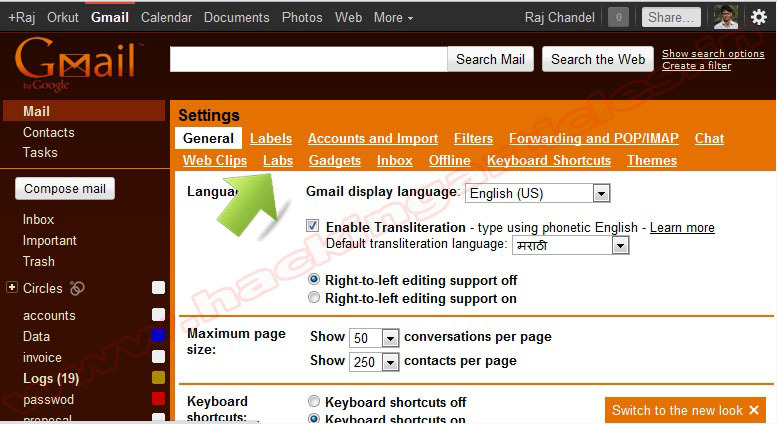 As you will click on “Script Manager” option, you will get the picture like below on the screen. Now click the option “New”. 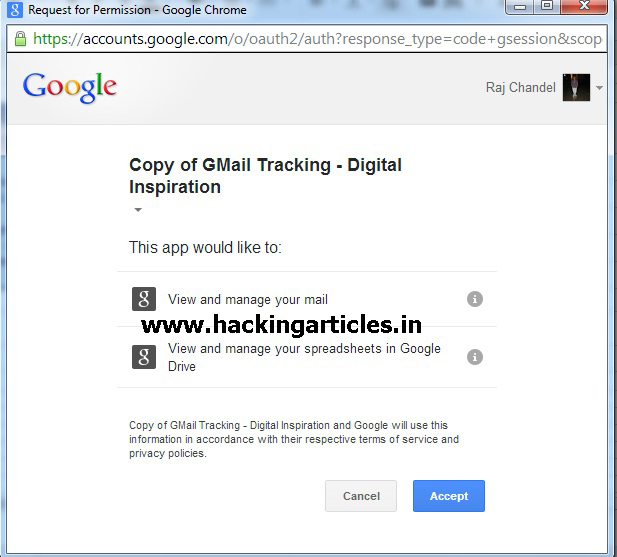 Then you will get “Google application script“open as shown below. Now, choose the option “Blank Project”. 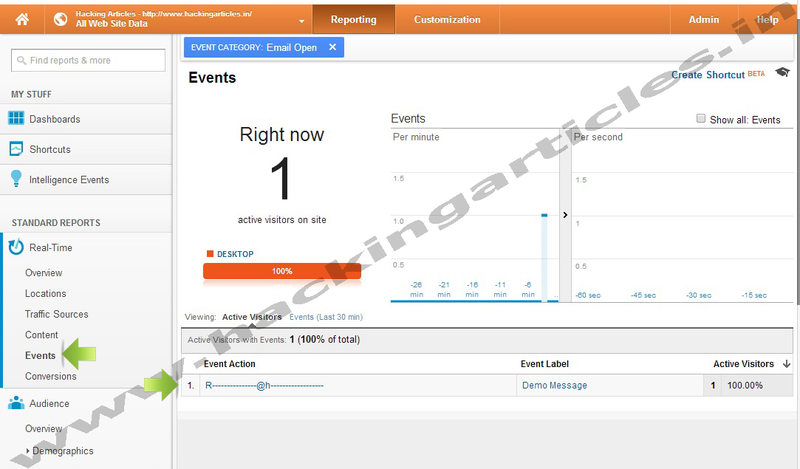 Now , type a Message or any document you want to send in “Spread Sheet ”and click on share button in Top of Right Corner, as shown in the below picture. Then, you will get the picture like this below on your screen. Now, choose the contacts that you want to send this message, and want to share. 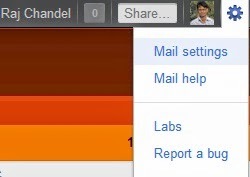 in the top right side of the Gmail page, click on "Settings"
You can view any email message with a right-click but this feature won’t work inside the “Spam” folder though it works for Trash. Now enter “your name”, “your email address”, “Recipient email address” and set a “secret password”. 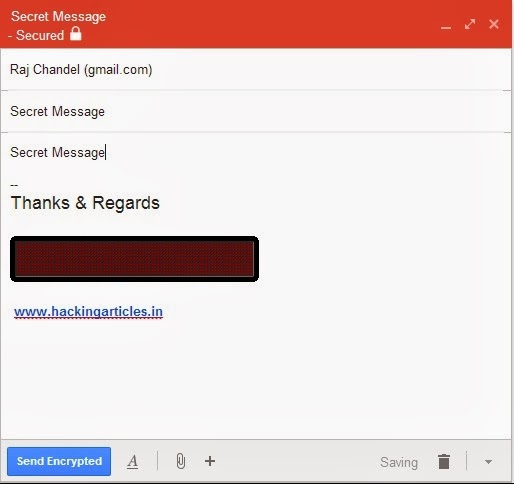 You have to inform this secret password to receiver through phone call, text message, email etc. Receiver cannot read your mail until he/she know your secret password. 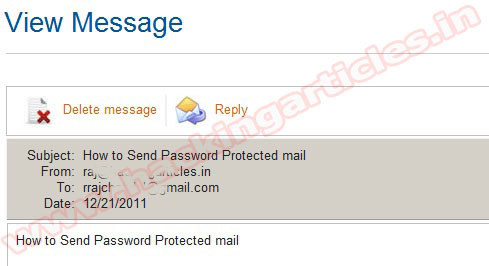 Now you compose your private mail content. Enable the option “I accept the term and condition” and click on “Submit”. To read your message receiver just needs to enter the secret key you provided. Then enter your secret Key and submit it. After submitting key Receiver can view message.